The gameplay is simple and appeals to a wide audience: each player draws a Hidden Suspect card. Players take turns making guesses using an interesting clock mechanic about their unknown suspect’s identity. The other players (who can see every suspect but their own) will tell you if you’ve got a lead on your suspect. If not, it’s a dead-end. 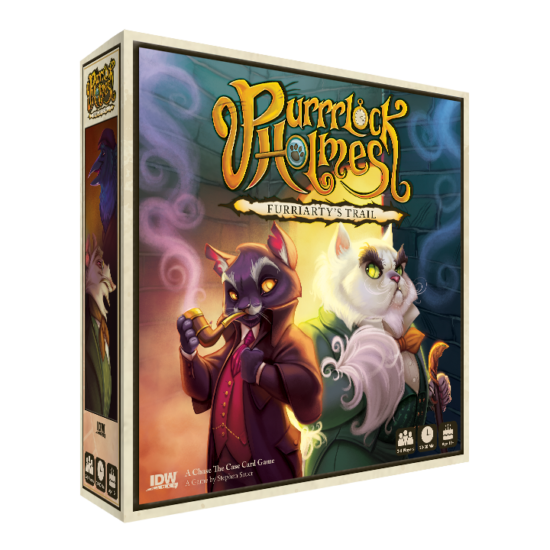 Figure out enough leads, deduce the suspect’s identity, and you get to snag a clue that leads to Furriarty.Each clue is labeled with a variable number of victory points. 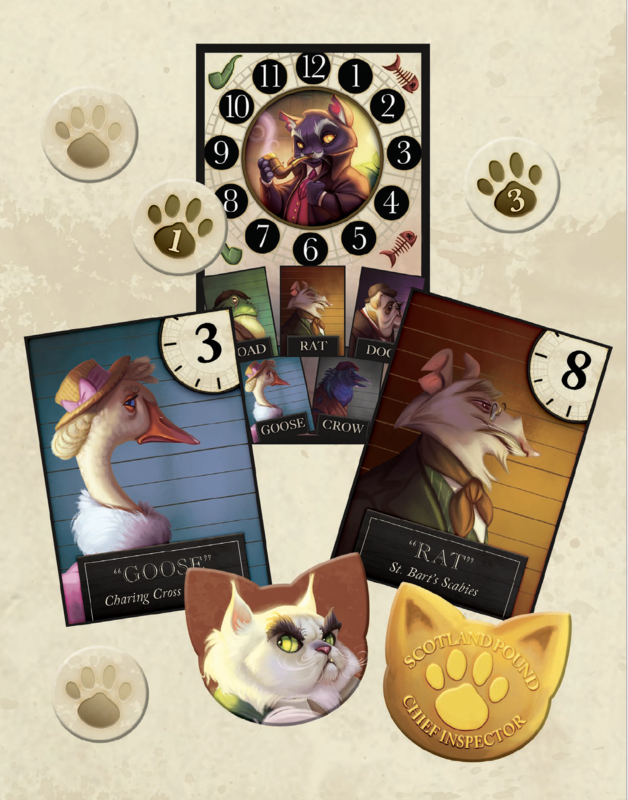 Every round, Furriarty pads his way closer to escape, putting tension on the players to guess, and guess fast, to solve the case. If you can deduce enough suspects, collect enough Paw Print tokens, you may be able to overtake Furriarty before he scrams. 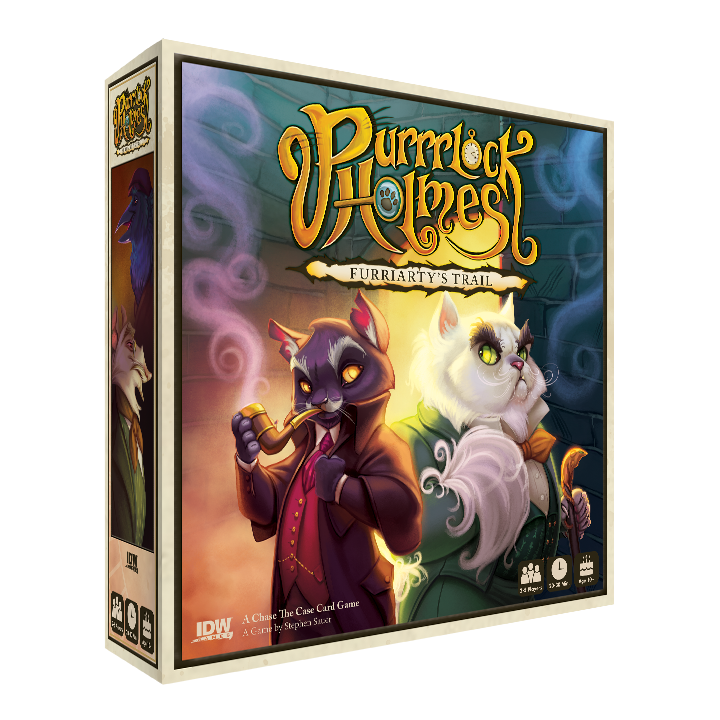 At $24.99, the game is afoot (or, a-paw, if you will). Releasing May 2017.